Ginkgo, also known as maidenhair, is the oldest surviving tree on earth. It is believed to be even older than dinosaurs. Revered for its beauty and its longevity, the ginkgo is considered a living fossil since it has remained unchanged for more than 200 million years. 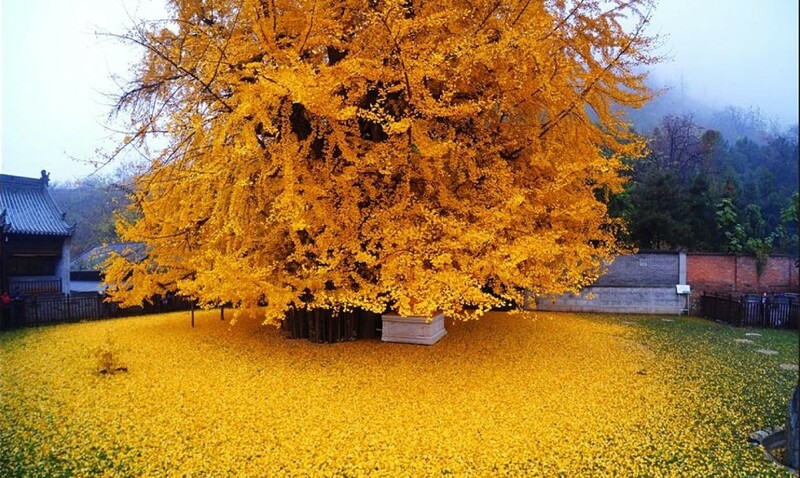 A 1,400-year-old ginkgo tree at a Chinese temple has become a hit amongst tourists. People from all over China are flocking to the Gu Guanyin Buddhist Temple in the Zhongnan Mountains near the city of Xi’an to have a look at this ancient Chinese ginkgo tree. 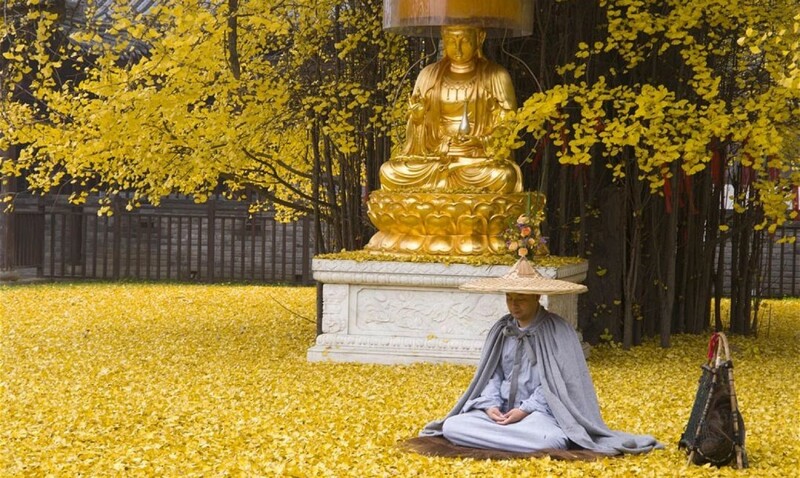 Every autumn, this ginkgo tree sheds an ocean of golden leaves, forming a perfect golden carpet around the tree for the temple’s monks to meditate….though it could be little difficult in the presence of thousands of people lining the fence jostling with each other to have a better look. The tree is believed to have been planted by the Emperor Li Shimin, the founding father of the Tang Dynasty (618 – 907). The tree is on a national protection list of trees. Good News for Cancer Patients: This Targeted Drug Delivery Will Not Lead to Hair Loss or Nausea!